Well, due to an extremely late snow storm in May this year I feel like I am totally behind on getting everything into the garden. I know I am pretty late on some things is year, but not so much on others. I am slowly working way through all my beds, getting them planted. This year I decided to actually install the new flower bed in the front of the house. 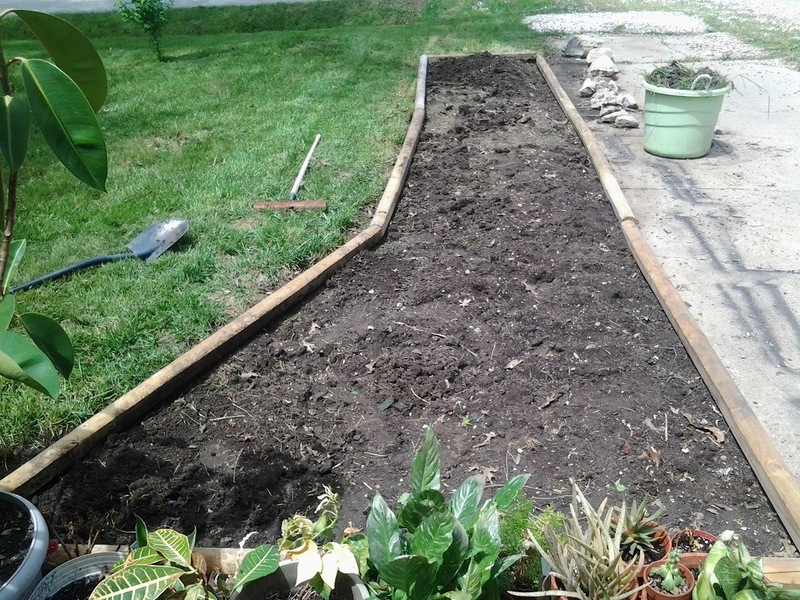 It’s all planted now, there are some day lilies there at the end, some herbs next and I planted the whole thing in with a wildflower mix. Hopefully it will do well, especially since I’m getting done so late.